Representing people from all walks of life, often during their most desperate hours. Members of the Holland Law Firm have obtained record-setting results on behalf of railroad workers, cancer victims, and people injured by defective products. Eric limits his practice to railroad and transportation accidents, mass torts, class actions and other complex litigation. Patrick has experience working in a wide-variety of practice areas including personal injury, products liability, medical malpractice, toxic tort, mass tort, pharmaceutical litigation, and appellate practice. 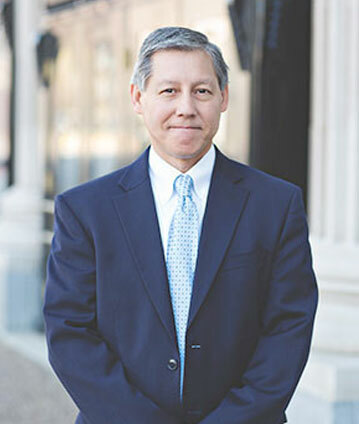 Carl has 25+ years of litigation experience, including the drafting of pleadings and motions, taking and defending depositions, and jury trials. Our attorneys bring decades of courtroom experience to the table, handling and trying cases in venues across the United States and obtaining record-setting results for those we represent. The attorneys of the Holland Law Firm have personally handled cases resulting in settlements and verdicts in excess of $6,057,500,000 (Six Billion, Fifty-Seven Million, Five Hundred Thousand Dollars). We are experienced trial attorneys with a proven track record handling litigation involving railroad accidents, FELA, Jones Act, mass torts, class actions, toxic injuries, products liability, commercial litigation, antitrust and other complex legal matters. We bring real courtroom experience together with business insight, allowing our firm to provide superior representation in complex litigation settings. Attorneys at the Holland Law Firm, L.L.C., have handled a large number of FELA strict liability cases and have set a number of courtroom records in these cases. Holland Law Firm has litigated a number of major commercial disputes including contract claims, construction disputes, banking, mineral rights, intellectual property and partnership dissolutions. Firm partner Eric Holland has been named a “Super Lawyer” in the practice areas of maritime and transportation law for the last 10 years. From the beginning, Eric was great. I always could get a hold of him. Everyone at the firm was so helpful. I didn’t know what I was going to do but these guys lead the way for me. I’m friends with them to this day. I was extremely pleased with every aspect of my representation. I would strongly recommend the firm to anyone with a serious injury.